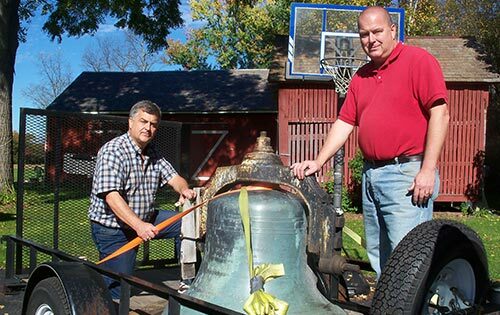 With our long history with church bells, we can help you restore, refurbish, or electrify your beautiful bells. At Church Specialties, we’re committed to finding solutions that fit within your budget. We understand the difficulties of increased pressures on parish budgets, often resulting in deferred maintenance projects and delayed capital improvements. We offer a wide range of options to fit your budget. We have done thousands of bell ringer installations and would be happy to survey your bells and bell tower. We can offer our suggestions to get your bells ringing again and restore the voice to your church bells. 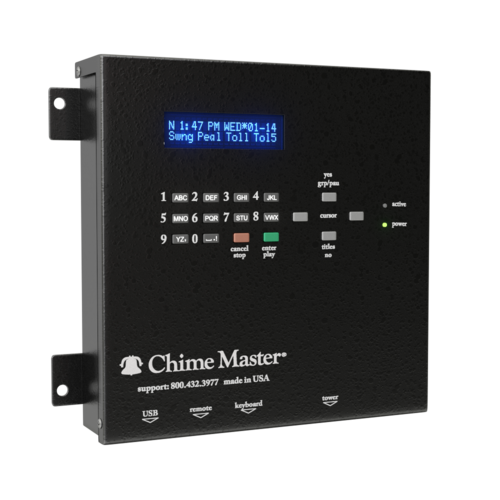 Our Chime Master Millennium Bell Controllers provide incredible flexibility to get your bells ringing again. These are excellent solutions for aging bell towers or damaged bells. In many cases, we can get your old church bells ringing again with the installation of automatic bell ringing equipment. 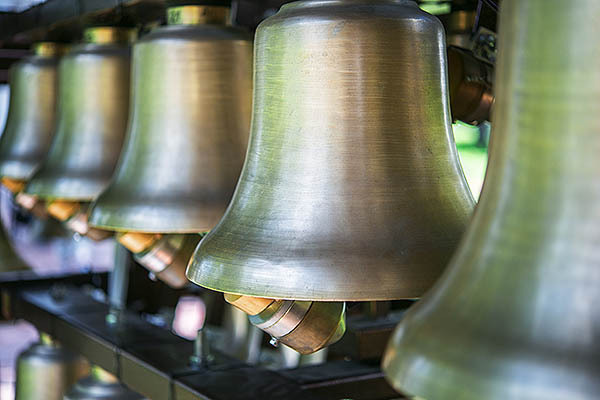 With our long history of nearly 100 years working with historic bells, we can provide options to restore, refurbish, replace or electrify your beautiful bells or bell ringing equipment. Our Chime Master Bell Controllers are very easy to use. Once we set your bell ringing schedule into memory, you don’t have to worry about it. The schedule is protected with a ten-year battery backup so even power outages will not disrupt the schedule. Please click here to read the historic bell maintenance checklist. Fill out the form below, and we'll get back to you within 1 business day. Four beautiful bronze bells cast by the famous Meneely Bell Company of West Troy, NY in 1895 with the largest bell weighing 2,000 pounds were fitted with a Chime Master Controller and Stationary Strikers for its Westminster chime. The stationary strikers were installed using custom mounting brackets. Ring as a three bell peal, and as individual bells. The ringing is automatically controlled by the Chime Master Millennium Bell Control System and manually with a handheld wireless remote control. St. John of God’s, 1911 Meneely Troy Bell, was restored by Church Specialties and is ringing again. The 515 lb. bronze bell cast by the Meneely Bell Company of Troy, NY in 1911 was in bad shape. The corrosive salt air had taken its toll. The bell wheel had deteriorated, the supports were worn and rusted. The recent restoration of the Church’s steeple provided the opportunity to remove the bell. 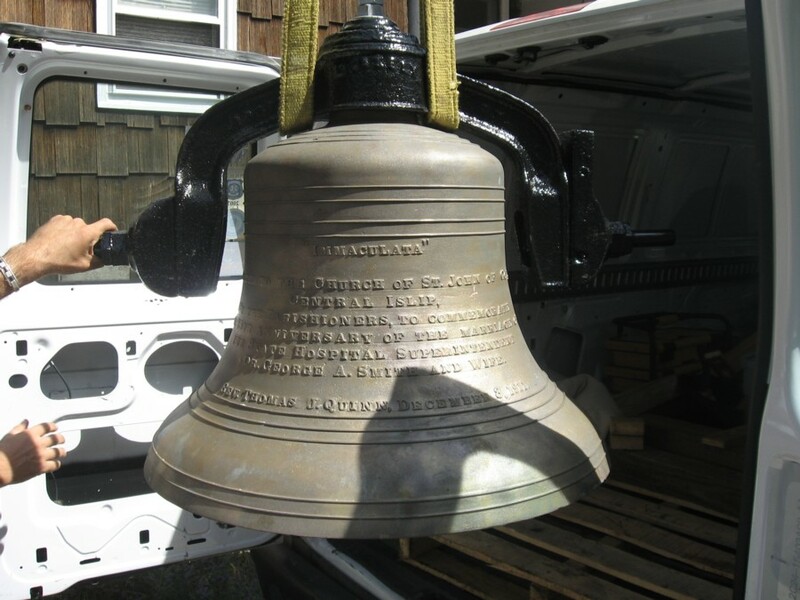 Once removed, the Meneely Bell was sent to Chime Master Systems for a complete restoration. It was cleaned and polished, and its “A” stands and yoke were also restored and painted, and it was fitted with an inside Chime Master Systems Millennium bell striker. The bell was reinstalled and is now rung by the custom-designed interior striker housed up inside the bell. Electronic controls ring the bell in such a way as to reproduce the voice of a swinging bell. From the push of a button on the remote control, the Meneely Bell automatically rings the Angelus, Call to Mass, a joyous peal, or strike a toll. 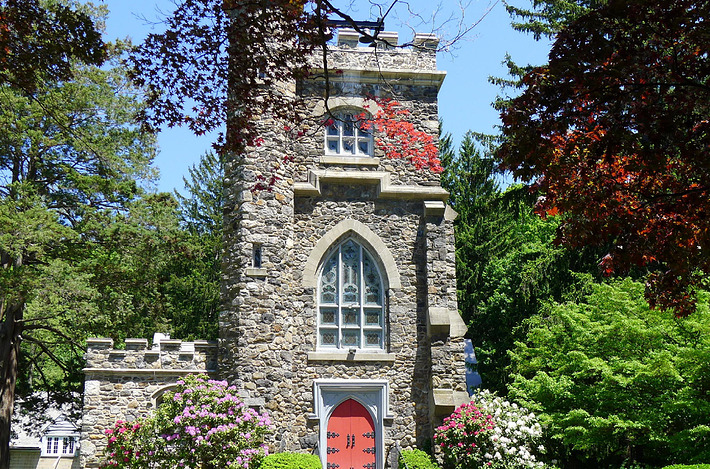 The 10 Bell Meneely Troy Chime cast in 1926 sits on top of the tower of the Church of St. Mary the Virgin in Chappaqua, New York. 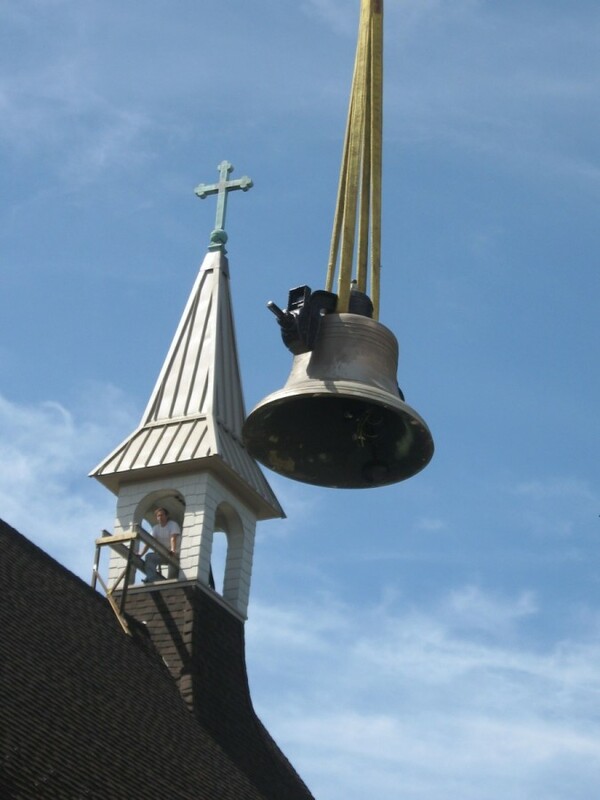 Church Specialties and Chime Master Systems was chosen to remove the 10 bell Meneely Troy chime from the roof of the historic Church of St. Mary the Virgin. The chime and steel frame were removed in one piece and set in front of the church. Workmen disassembled the non-working electric strikers, removed the bells from the frame and dismantled the chime frame. While the church tower and roof were being rebuilt, the Meneely chime was restored at the Chime Master shop. The steel frame was sandblasted, galvanized, painted and reassembled. Each bell was fitted with a custom-built internal electromechanical striker. The chime was then reassembled at our shop and tested. 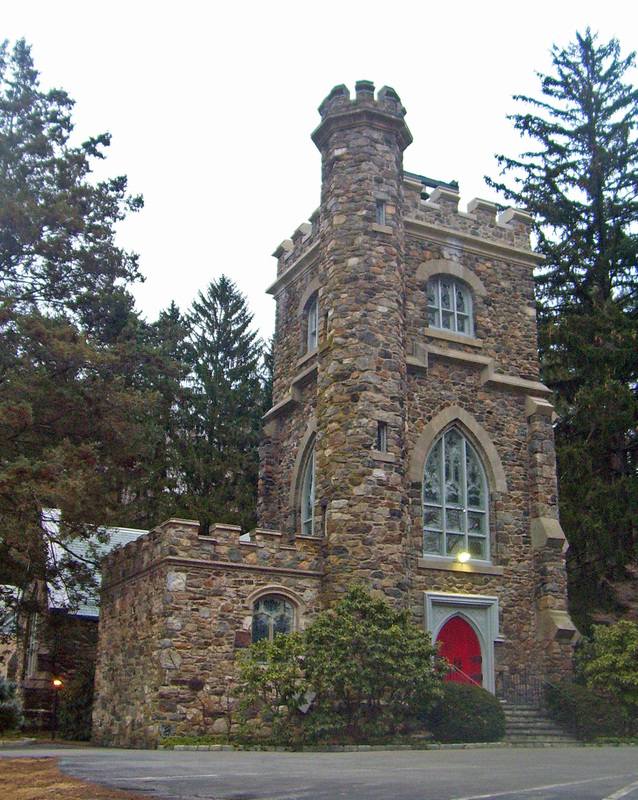 Upon return to Chappaqua, the Meneely chime was reset on the roof of the church tower. The chime is now controlled by a Chime Master Systems Millennium chime controller. In addition to the hundreds of arrangements stored in the controller and played automatically, this fine instrument can also be played from a keyboard located at the organ. Church Specialties arranged the new copper cupola and bell ringing equipment for the school bell at the Hopkins School Library. The school’s prized historic bell was sent to our facility and fitted with a new Chime Master Systems internal striker. 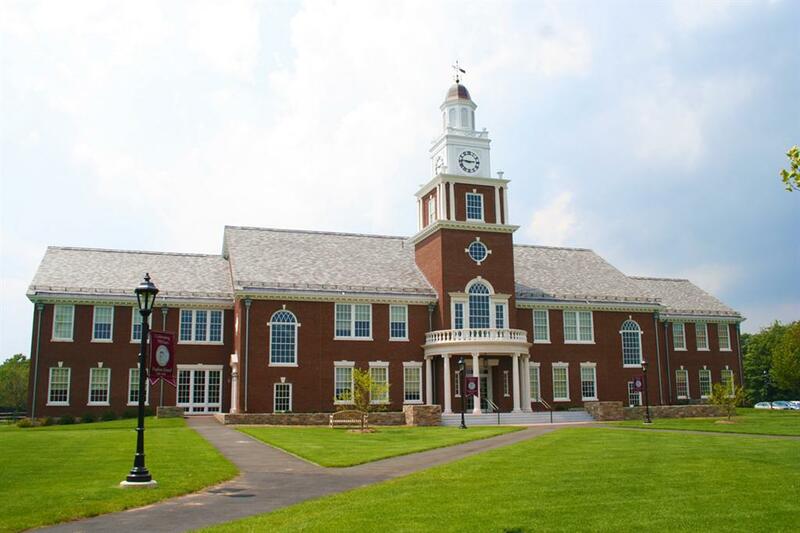 The bell was then installed into the new copper cupola, and then the cupola & bell were set on the roof of the new library. Using the Chime Master Millennium Bell controller, the school has the ability to strike the hour, toll the bell and ring it for any occasion. Additionally, our work on the bell will allow it to ring for special events and programs. Contact us to schedule an appointment and to discuss your automatic bell ringing requirements. At Church Specialties, we always provide free estimates and property visits so we can understand your needs exactly. We would be happy to set up an appointment to visit your church and provide you with a complete guaranteed written estimate. 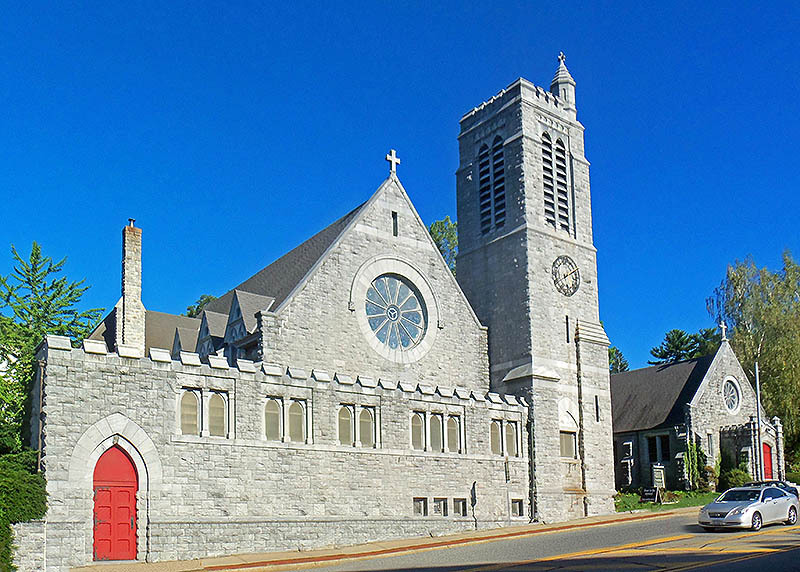 All our work and materials are guaranteed, and we can provide many testimonials about our previous work performed on hundreds of churches throughout the United States. Email us at Joe@churchspecialtiesllc.com or use our main contact form if you would like to learn about all our services by clicking on the button below.